Seer Ministries is pleased to announce their Autumn Fundraiser. There will be a sumptuous dinner prepared by Marion Cox, with a background of music through the decades. In order to highlight the benefits of FAIRTRADE goods, the meal will be prepared using Fairtrade items, and there will be a short presentation on Fairtrade and why we should be concerned. "BRENDA'S SALE".... Saturday 10th May 2008, 10:30. Seer Ministries' Annual sale at Seer Green Baptist Church. Called Brenda's sale, as for many years Brenda Loveday has been our champion in organising and managing the sale on our behalf. We shall be selling bric-a-brac, cakes, plants, toys, books and anything else we can get our hands on. This year, although still involved, Brenda will be taking a slightly smaller role, but will still be on hand to direct matters according to her high standards. There will be a French Style Creperie run from the kitchen by Marion Cox and her band of volunteers, providing a selection of savoury and sweet crepes, as well as tea, coffee, hot chocolate and soft drinks. So come for lunch! There will also be a silent auction of some special items, so the day promises to be a good event. If you have any items that you feel you could donate to our sale, then please contact TIM COX on tim@seerministries.org or 07904129609. He will be pleased to collect them, as long as they are within a reasonable distance. At a recent Trustees meeting when various fundraising possibilities were discussed, the subject of starting a charity shop was raised. After some discussion, the Trustees decided that the costs of running such a venture, in both financial and human terms, would be prohibitive. 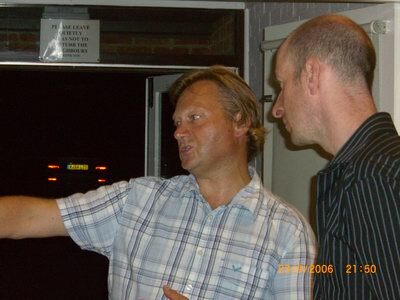 Tim Cox had the idea of registering Seer Ministries as an eBay charity, which would allow anyone who uses eBay to select Seer Ministries as a charity to which a proportion of their profit could be donated. Also, Tim has taken on the responsibility of selling items directly on behalf of Seer Ministries, so that ALL the proceeds (after eBay's fees have been taken)will go towards the work of the Charity. Watch out for seer_ministries as a seller, or if you are a seller and you wish to donate some of your takings to Seer Ministries, then you will find us in the database of eBay Registered Charities. 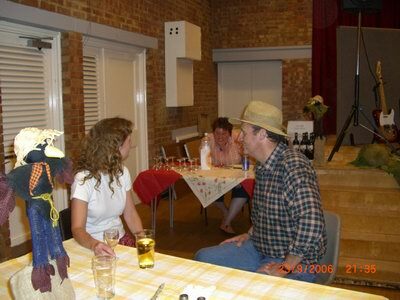 Once again, Tim Cox, on behalf of the Seer Ministries Trustees, organised an Autumn Barn Dance at the Jubilee Hall in Seer Green, held on Saturday the 6th October 2007. With live music from Liam Robinson and Thomas Fairbairn, billed as THE DANCING MASTERS, the evening had a distinctly Scottish feel. Sixty people attended and enjoyed a very fine evening's entertainment. The meal - of Scottish Beef Pie followed by Profiteroles, was prepared by Marion Cox as before. 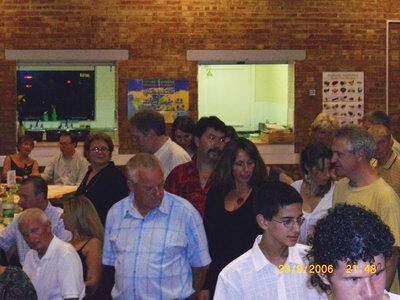 There was a charity auction with many diverse lots donated by generous donors, such as "Pet Portraits" by an artist, a hand carved shepherds crook, water-ski lessons, china, glass, handbags, an enormous joint of fine beef (from J & L Mash, the excellent Seer Green butchers) and much more. The evening raised around £1000, all of which will go to the printing work of Seer Ministries in Romania. Our thanks to all who supported us by either attending, donating goods, or by helping in the kitchen. Without your much-needed support, our work of printing The Word For Today would soon grind to a halt. 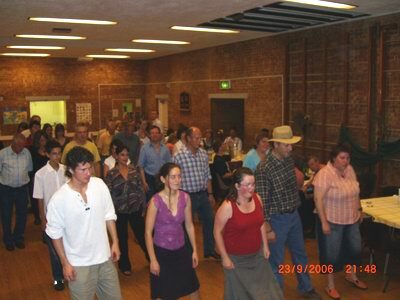 On Saturday 23rd September 2006, Trustee Tim Cox and his wife Marion arranged a barn dance in the Jubilee Hall in Seer Green. Over seventy people attended, paying £17.50 a ticket, to dance the night away to Dave Evans and Barnstorm, the caller and band. Marion Cox dished up spicy chicken with corn fritters, salad and roast potatoes, followed by good ol' apple pie and cream (the pies lovingly baked and supplied by Marian Richardson). There was also a silent auction with donated prizes such as two green fees for Frilford Heath Golf Club, and a full body massage (not at the same time). It was a great evening, and we were pleased to raise over £1000 for the Trust. This money comes at the right time, as a new batch of "THE WORD FOR TODAY" is rolling off the press in Romania. Tim explaining the work of Seer Ministries. in the Jubilee Hall, Seer Green. and will include thigh-slapping good nosh cooked by Marion Cox. Invite your friends and family, as all the proceeds will go towards the work of Seer Ministries. The trustees thank all those who have given, both in time and money, to help to bring us to this point. However, to continue to print and distribute The Word For Today at NO CHARGE to our brothers and sisters in Romania and elsewhere, continued financial support is essential.